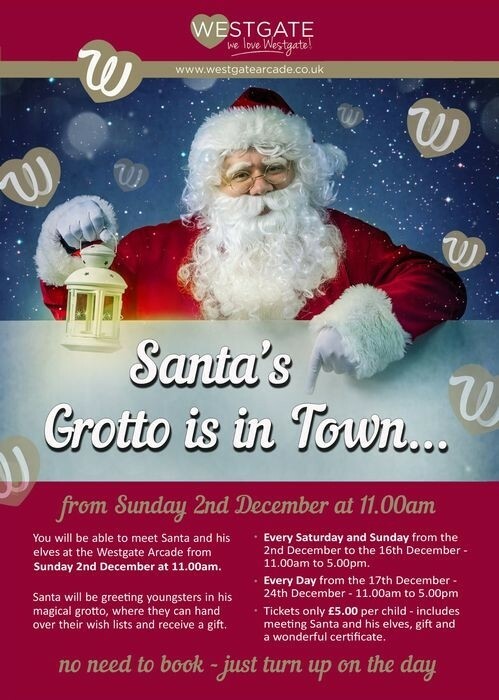 Santa will be greeting youngsters in his magical grotto at Westgate Arcade where they can hand over their wish lists and receive a gift. Every day from Monday 17 December to Monday 24 December, 11:00am-5:00pm. Tickets only £5 per child – includes meeting Santa and his elves, a gift and a wonderful certificate. This entry was posted in Dec, Events, Young People and tagged Westgate Arcade.